The Bayou City’s culinary scene has given way to a wine renaissance as spirited as the food you are pairing with it. Whether you were tipped off by Anthony Bourdain, David Chang or the city’s chefs that dominated the James Beard Awards, Houston’s culinary scene has long been written on the pho-powered, smoked brisket-loving hearts of locals. One of the most culturally diverse cities in the country, Houston’s chefs carry that influence into the dining room in exciting ways. Houston’s wine scene has evolved in step with the food. Excellent wine lists are no longer relegated to white-linen French restaurants and high-dollar chophouses, nor are the selections limited to the biggest of Bordeaux and California Cabs. Thoughtful, artisanal cuisine has found its match in small-production outfits committed to wine’s wilder side. Thankfully, this new wave of wine has arrived without pretense. Houston’s wine pros have cultivated judgment-free zones to discover new grapes and winemaking methods. The retail line here often blurs, as bottle shops boast bars, restaurants house wine showrooms and bars offer take-home options. Once the location of a doggie daycare, the Montrose District bungalow that houses Light Years offers only natural wines, the result of the new owners’ time spent in France, including a six-week stay in Jura. Linger over a well-appointed charcuterie plate and sips at the bar, or stop in on Fridays for themed tastings. They’ve also held random and delightful food events, from West Coast uni specials to a whole hog roast on the patio, with similar nights happening in 2019. After years of hosting pop-up wine sales, tastings and wine dinners, the team behind Divino expanded into wine education pursuits with the debut of Vinology in 2016. In the style of a European enoteca, customers can both purchase bottles and explore focused wine flights, Coravin tastings of rare vintages and weekly seminars. The 300 wines are mostly from Old World limited-production operations, as well as balanced New World picks. Established in 1984, Houston Wine Merchant was the city’s lone independent wine retailer until a recent wave of newcomers appeared. Once focused on California’s burgeoning wine movement, the store now carries global selections to appeal to a diverse customer base, from those interested in experimental producers to collectors that invest in Bordeaux futures. Another fresh-faced indie shop, The Heights Grocer focuses on small-production natural winemakers, and it offers a healthy selection of skin-contact wines. Stop by the electric blue-colored shop to peruse 100 or so labels organized by flavor profile. “At the end of the day, we want to provide killer wine with an approachable price,” says owner James Havens. Attached to neighborhood Italian eatery Paulie’s, Camerata is a chic spot that offers wine lovers great advice, but never takes itself too seriously. Its monthly 12-page bottle list opens with a letter that shares what excites the team, followed by listings sprinkled with facts, vintner spotlights and staff picks. And yes, they mark down bottles for retail, too. Is Texas the Next Great Wine Region to Watch For? A beloved industry haunt, Public Services sits on a hip block of bars that saved downtown nightlife from obscurity. The building’s historic bones, upholstered chairs and parlor room aesthetic appeal to the distinguished grandfather in all of us. Owner and beverage director Justin Vann’s bottle list is stocked with 3- and 5-ounce pours. There’s also a full page of Sherry with another page heavy on Madeira, offered alongside classic cocktails and 100 whiskeys, with an emphasis on highballs. 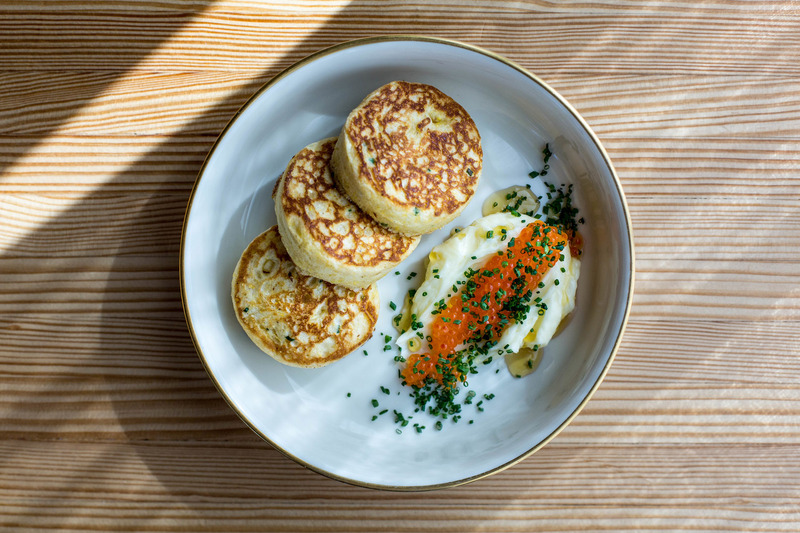 Since opening Nancy’s Hustle in late 2017 in the up-and-coming East Downtown area, executive chef Jason Vaughan and beverage director Sean Jensen have received praise for blending hip, low-key diner vibes with playful culinary creations. Sip an amaro cocktail before you dive into the worldly wine list that’s well-stocked with by-the-glass pours from a wealth of minimal-intervention producers. There’s everything from Paltrinieri’s Radice Lambrusco di Sorbara to Bichi’s No Sapiens, an earthy red from an unknown varietal grown in Baja California, Mexico. Greek labels are on the increase stateside. Helen aims to bring the trend to Houston with its wine list dedicated exclusively to the country. Sommelier Amalia Brown leads an odyssey into wines produced with indigenous grapes, like Domaine Glinavos’s Paleokerisio, an orange, semi-sparkler made with Debina and Vlahiko grapes. For Francophiles who want to dip their toes in Greek wine, Brown recommends Skouras Synoro. “A lovely blend of Cab Franc, Agiorgitiko and Merlot, this sucker will fool most into thinking they’re drinking high-end Bordeaux,” she says. Recent thoughtful dishes have included rosemary-skewered snails, tea-steeped rabbit and a gyro platter that features Texas pork. In September 2018, owners Mary Clarkson and Olivier Ciesielski refashioned their French restaurant, L’Olivier, into this casual bistro. Wine director Nate Rose oversees 30 by-the-glass selections, 10 grand cru Burgundy served by Coravin and a dedicated retail space that aims to showcase wines by small, family producers. T-Rex is the second iteration of Oxheart, Justin Yu’s 31-seat tasting room that earned a James Beard Award in 2016. With the changeover to a more casual menu, beverage director Justin Vann and sommelier Bridget Paliwoda have adjusted accordingly. “We kept the edgy wines that we knew and loved, but added a more substantial selection of classic bottlings that Oxheart lacked,” says Vann. To reflect the belief that everyday bubbles are a way of life, 25 sparkling wines are offered, broken out into pétillant naturel and méthode Champenoise. Let the team recommend fun pours with dishes like an umami bomb tomato toast, or the Paris-Brest piped with sweet Swiss cheese pastry cream. You may not associate the Lone Star State with wine, but the High Plains region is the second-largest American Viticultural Area (AVA) in the country and boasts a winemaking legacy back to 17th-century Spanish missionaries. A range of grape varieties are also coaxed into lovely wines from areas that include the Hill Country AVA west of Austin, where you’ll find these gems. Located in Hye, outside of the historic German city of Fredericksburg, William Chris Vineyards is serious about unadulterated Texas terroir. From its own vineyards and family-owned farms across the state, William Chris produces innovative, low-impact wines. It also experiments with less common varieties like Mourvèdre, which is blended with Merlot and Malbec for the glowing, strawberry-hued Pétillant Naturel Rosé. Tastings require a reservation. Texas native Regan Meador and wife, Carey, originally established Southold Farm & Cellar on the North Fork of Long Island. There, the couple built a following for their terroir-driven natural wines produced through minimal-intervention cellaring methods. Luckily for Texans, restrictive zoning laws led the couple to the green, rolling hills of Central Texas. Meador has joined other young producers to help expand and elevate the natural wine category in Texas and beyond. Tastings have to be reserved in advance. In 1992, Bunny and Richard Becker planted vines in the sand and granite-rich acreage that surrounded their rustic Fredericksburg homestead. Today, among lavender fields and wildflowers, Becker Vineyards has become one of the largest wine producers in Texas. It grows nine Old World varieties across 56 acres and also contracts with independent state growers. Bottles like the 2012 Estate Reserve Merlot demonstrate the region’s ability to yield world-class wines.